ASR Outdoor 4PC Snapatite 4in1 Camping Utensils TSA Complaint Travel Hunting $ 9.99	• 38% off! PVC Waterproof Dry Pouch - 7 x 9 Inch $ 5.99	• 45% off! Large Aluminum 7 " Cushion Grip Handle $ 7.99	• 47% off! 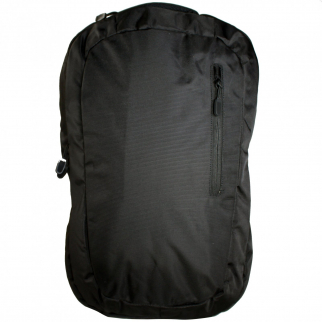 ASR Outdoor 20L High Capacity Laptop Backpack Black $ 49.99	• 25% off! Rain Gear Raincoat Lightweight Poncho Outdoor Emergency Weather - Orange $ 5.99	• 60% off! 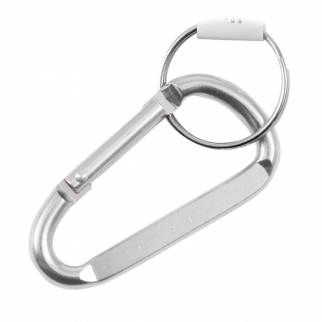 Aluminum Multi-Color Carabiner Spring Clip Keychain (Many Sizes, Colors) $ 5.99	• 45% off! 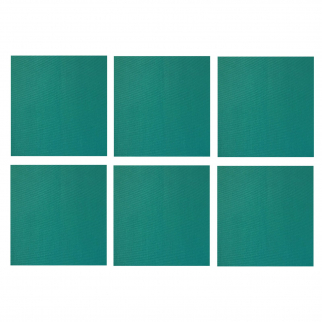 Gear Aid Tenacious Tape Fabric Repair 3 Inch Patches Outdoor Gear - 6pc Teal $ 6.99	• 53% off! Gear Aid Tenacious Tape Fabric Repair 3 Inch Patches Outdoor Gear - 6pc Pink $ 6.99	• 53% off! Gear Aid Tenacious Tape Fabric Repair 3 Inch Patches Outdoor Gear - 6pc Orange $ 6.99	• 53% off! ASR Outdoor Stainless Steel Collapsible Camping Cup 8.5oz $ 9.99	• 17% off! 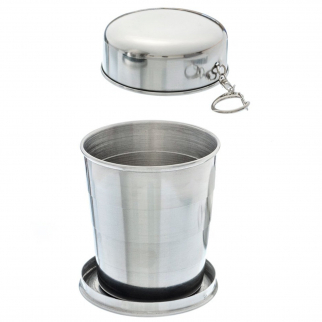 ASR Outdoor Stainless Steel Collapsible Camping Cup 2.5oz $ 7.99	• 38% off! ASR Outdoor Water Resistant Collapsible Day Pack - Orange $ 8.99	• 70% off! 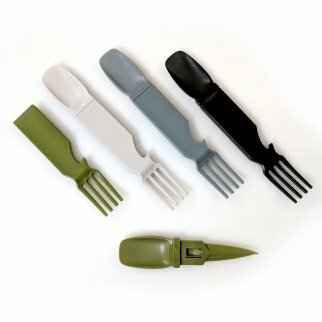 ASR Outdoor Complete Pistol Cleaning Brush Kit 8pc Maintenance $ 9.99	• 50% off! ASR Outdoor TitanLace 550 Paracord Hiking Boot Lace $ 5.99	• 71% off! 6 Pack Aluminum Multi-Color Carabiner Spring Clip Keychain (Many Sizes, Colors) $ 7.99	• 60% off! ASR Outdoor TitanLace 550 Paracord Hiking Boot Lace $ 5.99	• 67% off! 2 Piece ASR Outdoor 3.25 Inch x 1 Inch Tarp Camping Secure Grip Awning Clamps $ 5.99	• 40% off! Microfiber Ultra Absorbent Quick Dry Gym Towel Outdoor - Navy Blue XL $ 26.99	• 25% off! ASR Outdoor 34oz Water Bottle Hard Plastic with Loop Top Lid - 1000mL Grey $ 8.99	• 31% off! ASR Outdoor Emergency Survival 5 Liter Water Flask Compact Portable $ 7.99	• 47% off! 7 Function Deluxe Heavy Duty Camping Utensil Multi Tool $ 7.99	• 50% off! ASR Outdoor TitanLace 550 Paracord Hiking Boot Lace $ 5.99	• 68% off! Ultra Absorbent Microfiber Quick Dry Gym Towel Outdoor - Navy Blue Large $ 21.99	• 27% off! ASR Outdoor Lighted LED Expandable Trekking Poles 2pk (Assorted Colors) $ 16.99	• 32% off! Moss Green Large Ultra Compact Microfiber Towel $ 22.99	• 8% off! ASR Outdoor Inflatable Pillow for Travel, Hiking, and Backpacking $ 11.99	• 52% off! TrailSide Long Star 3 Person Tent with Water Proof Flysheet $ 125.99	• 34% off! ASR Outdoor 6 in 1 Camping Utensil Multi-Tool with Carrying Case for Outdoor Rec $ 8.99	• 40% off! ASR Outdoor TitanLace 550 Paracord Hiking Boot Lace $ 10.99	• 54% off! ASR Outdoor TitanLace 550 Paracord Hiking Boot Lace $ 9.99	• 60% off! 8mm 3.25" Large Carabiner Key Chain - Dark Blue $ 5.99	• 45% off! ASR Outdoor TitanLace 550 Paracord Hiking Boot Lace $ 9.99	• 58% off! ASR Outdoor - LED Orange Adjustable Headlamp $ 6.99	• 63% off! ASR Outdoor Handheld Micro USB Rechargeable Bug Zapper Flashlight Paddle - Grey $ 11.99	• 40% off! ASR Outdoor Handheld Micro USB Rechargeable Bug Zapper Flashlight Paddle - Green $ 11.99	• 40% off! ASR Outdoor Handheld Micro USB Rechargeable Bug Zapper Flashlight Paddle- Yellow $ 11.99	• 40% off! ASR Outdoor Handheld Micro USB Rechargeable Bug Zapper Flashlight Paddle Blue $ 11.99	• 40% off! ASR Outdoor Handheld Micro USB Rechargeable Bug Zapper Flashlight Paddle - Pink $ 11.99	• 40% off! SE OD-RC784-XL Raincoat, Size M-XL, Navy Blue $ 9.99	• 41% off! ASR Outdoor 51 inch x 80 inch Gray Wool Blanket 2lbs 50 Percent Wool $ 16.99	• 45% off! ASR Outdoor 64 inch x 84 inch Grey Wool Blanket 4 Pounds 80 Percent Wool $ 21.99	• 37% off! ASR Outdoor Stainless Steel Wire Saw Survival Hiking Camping $ 6.99	• 70% off! ASR Outdoor 60 inch x 80 inch Grey Wool Blanket 3 Pounds 70 Percent Wool $ 21.99	• 37% off! ASR Outdoor 64 inch x 84 inch Green Wool Blanket 4 Pounds 80 Percent Wool $ 23.99	• 31% off! ASR Outdoor 60 inch x 80 inch Green Wool Blanket 3 Pounds 70 Percent Wool $ 19.99	• 43% off! ASR Outdoor Open Fire Camping Toaster Holds 4 Slices Stainless Steel Grill Top $ 8.99	• 55% off! 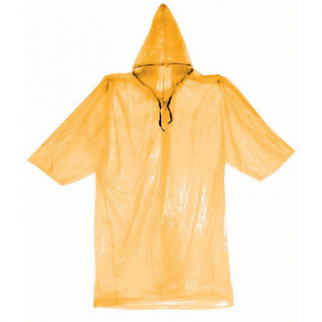 ASR Outdoor Emergency Poncho Blue Polyethylene Rain Gear Camping One Size $ 5.99	• 40% off! ASR Outdoor Dry Sack 10L Water Resistant 9 Inch Diamater 210T Terylene Material $ 10.99	• 56% off! ASR Outdoor Emergency Glow Stick BOB High Visibility Night Vision, 6 inch Green $ 5.99	• 40% off! 13.5in Collector Hunting Knife with Horse Handle, Scabbard and Etched Blade $ 14.99	• 25% off! ASR Outdoor Dry Sack 20L Water Resistant 9 Inch Diamater PVC Tarpaulin Material $ 15.99	• 47% off! 6pc Stainless Steel Shot Glass Set $ 9.99	• 33% off! ASR Outdoor Stainless Steel Collapsible Camping Cup 4.7oz $ 7.99	• 38% off! ASR Outdoor 11.5 Inch Rechargeable UV Hanging Bug Zapper Stand Lasts 10hrs Gray $ 12.99	• 50% off! Sea Drops Anti-Fog Lens Cleaner for Diving Masks - 1.25 oz White $ 8.99	• 18% off! Gear Aid Camp Repair Kit for Essential Tent Canopy Outdoor Rec Camping Supplies $ 18.99	• 53% off! Emergency Floating Orange Survival Kit Safety Whistle Clip-On Keychain 4 Pack $ 6.99	• 53% off! 6 Pack Aluminum Multi-Color Carabiner Spring Clip Keychain (Many Sizes, Colors) $ 6.99	• 36% off! 6 Pack Aluminum Multi-Color Carabiner Spring Clip Keychain (Pink) $ 6.99	• 30% off! 50 Pack Hand Warmers $ 31.99	• 22% off! ASR Outdoor 240 Lumen COB LED 3 Stage Switch Hanging Work Light Camping Survival $ 9.99	• 38% off! ASR Outdoor Journey Backpack Adjustable Straps Durable Polyester Navy and Brown $ 23.99	• 40% off! ASR Outdoor Journey Daypack with Laptop Pocket Padded Shoulder Backpack - Black $ 29.99	• 40% off! ASR Outdoor Day Hike Backpack 30L High Capacity Canvas Travel Rucksack - Black $ 49.99	• 31% off! Universal Camping Steel Tent Stakes Heavy Duty Replacement Pegs 20 Pack $ 22.99	• 12% off! Universal Camping Steel Tent Stakes Heavy Duty Replacement Glow Pegs 10 Pack $ 15.99	• 20% off! ASR Outdoor Adventure Wilderness Purple Fleece Blanket Southwest Arrows 50x60 In $ 18.99	• 46% off! Outdoor Emergency Camping Survival Wilderness Kit Emergency Preparedness 48pc $ 34.99	• 30% off! ASR Outdoor Adventure Wilderness Reversible Blanket Southwest Design - Navy Blue $ 29.99	• 25% off! ASR Outdoor Adventure Wilderness Reversible Blanket Southwest Design - Black $ 29.99	• 25% off! ASR Outdoor Adventure Wilderness Reversible Blanket Southwest Design - Turquoise $ 29.99	• 25% off! ASR Outdoor Adventure Wilderness Reversible Blanket Southwest Design - Purple $ 29.99	• 25% off! ASR Outdoor Adventure Wilderness Reversible Blanket Southwest Design - Grey $ 29.99	• 25% off! 550lbs Strength Survival Paracord Rope Camping Hiking Desert Camo- 50ft $ 7.99	• 53% off! 550lbs Strength Survival Paracord Rope Camping Hiking Desert Camo- 500ft $ 39.99	• 33% off! 550lbs Strength Survival Paracord Rope Camping Hiking Desert Camo- 25ft $ 6.99	• 46% off! 3 Pack Outdoor Weatherproof Electronic Storage Pouch 7x9 $ 8.99	• 40% off! 6 Pack Aluminum Multi-Color Carabiner Spring Clip Keychain Black $ 6.99	• 65% off! Gear Aid Seam Grip Sealer and Adhesive Tube Strong Outdoor Repair - 8 oz $ 21.99	• 24% off! 8pk ASR Outdoor 3 1/4 Inch x 1 Inch Tarp Camping Secure Grip Awning Clamps $ 7.99	• 47% off! 4pk ASR Outdoor 3 1/4 Inch x 1 Inch Tarp Camping Secure Grip Awning Clamps $ 6.99	• 42% off! Waterproof 3 in 1 Match Stick Storage Container Fire Starter Mirror Green $ 5.99	• 54% off! Anti Bear and Wildlife Bell with Magnetic Silencer with Strap Yellow Survivor Series $ 6.99	• 53% off! ASR Outdoor Anti Bear and Wildlife Bell with Magnetic Silencer Survivor Series $ 6.99	• 53% off! 3" Aluminum Carabiner Snap Hook Spring Clip Key Chain - Orange $ 5.99	• 50% off! 6 Pack Aluminum Multi-Color Carabiner Spring Clip Keychain (Green Large) $ 7.99	• 60% off! 5mm 2 Inch Extra Small Carabiner Key Chain - Orange $ 5.99	• 45% off! 6 Pack Aluminum Multi-Color Carabiner Spring Clip Keychain (Orange, Large) $ 7.99	• 60% off! 6 Pack Aluminum Multi-Color Carabiner Spring Clip Keychain - Medium Orange $ 6.99	• 30% off! ASR Outdoor TitanLace 550 Paracord Hiking Boot Lace $ 5.99	• 70% off! Emergency Nylon Tow Rope, 13.2ft Long $ 15.99	• 38% off! Universal Water Bottle Holder With Blue Aluminum Carabiner Clip Attachment $ 5.99	• 45% off! ASR Outdoor - Sleeping Bag Strap Set - .75 inch x 48 inch $ 6.99	• 53% off! Gear Aid ReviveX Waterproof Stain Repellent Spray Camping - 10.5 oz $ 16.99	• 19% off! Wilderness Travel Medicine Emergency Guide $ 5.99	• 76% off! ASR Outdoor 11.5 Inch Rechargeable UV Hanging Bug Zapper Bright Orange Stand $ 13.99	• 46% off! ASR Outdoor Large Translucent Waterproof Camping Storage Container - 5.5 Inch $ 6.99	• 36% off! ASR Outdoor 4 Inch Small Waterproof Travel Credit Card Money Storage Container $ 5.99	• 45% off! ASR Outdoor Orange Waterproof Reflective Stripe Backpack Cover Fits 28" Backpack $ 7.99	• 53% off! ASR Outdoor - Paracord Bracelet - Green $ 6.99	• 53% off! ASR Outdoor Navy Blue Drawstring Stopper Bag Backpack Durable Polyester Tote $ 5.99	• 54% off! ASR Outdoor Dry Sack 20L Waterproof Lightweight Protection $ 10.99	• 63% off! ASR Outdoor Journey Backpack Adjustable Straps Durable Polyester Red and Brown $ 22.99	• 43% off! Tactical Ultra Absorbent Microfiber Towel for Compact Outdoor Rec - Coyote Large $ 22.99	• 29% off! Waterproof Durable Backpack Cover Blue Universal Fit Adjustable Draw String $ 8.99	• 40% off! 13.5in American Eagle Collector Hunting Knife with Scabbard and Etched Blade $ 13.99	• 30% off! Aluminum Multi-Color Carabiner Spring Clip Keychain (Many Sizes, Colors) $ 5.99	• 43% off! 7mm 2.75" Medium Carabiner Key Chain - Light Blue $ 5.99	• 43% off! Survival Outdoor Multi Tool Whistle Compass LED 7 in 1 Flashlight Camping $ 6.99	• 53% off! 6 Pack Aluminum Multi-Color Carabiner Spring Clip Keychain (Many Sizes, Colors) $ 6.99	• 30% off! ASR Outdoor 40oz On-The-Go Collapsible Steel Bottom Silicone Kettle - Purple $ 22.99	• 36% off! ASR Outdoor - Paracord Bracelet - Blue $ 6.99	• 53% off! Gear Aid Ergo Zipper Pulls for Outdoor Packs Gear Repair Sporting Good - Black $ 8.99	• 47% off! Gear Aid First Aid Kit With Wilderness Travel Medicine Emergency Guide $ 14.99	• 40% off! Outdoor Emergency Camping Survival Wilderness Kit Emergency Preparedness 48pc $ 25.99	• 48% off! ASR Outdoor Rechargeable UV Bug Zapper 500 Foot Range Travel Size USB Cable $ 25.99	• 35% off! ASR Outdoor - Paracord Bracelet - OD Green $ 6.99	• 53% off! 7mm 2.75" Medium Carabiner Key Chain - Green $ 5.99	• 43% off! 8mm 3.25" Large Carabiner Key Chain - Green $ 5.99	• 45% off! ASR Outdoor Adventure Wilderness Brown Fleece Blanket Southwest Stripes 50x60 In $ 17.99	• 49% off! ASR Outdoor - Paracord Bracelet - Orange $ 6.99	• 53% off! ASR Outdoor - Paracord Bracelet - OD Green and Black $ 6.99	• 53% off! ASR Outdoor - Paracord Bracelet - Pink and Black $ 6.99	• 53% off! ASR Outdoor - Paracord Bracelet - Brown $ 6.99	• 53% off! ASR Outdoor - Paracord Bracelet - Pink $ 6.99	• 53% off! ASR Outdoor 100 feet inch 7 Strand Paracord Bundle - Solid Khaki $ 7.99	• 62% off! ASR Outdoor - Paracord Bracelet - Yellow $ 6.99	• 53% off! ASR Outdoor - Wrist Brace Slingshot with Adjustable Iron Frame - Ammo Included $ 10.99	• 48% off! ASR Outdoor 100 feet x .15 inch 7 Strand Paracord Bundle - Grey $ 7.99	• 62% off! ASR Outdoor 100 feet 7 Strand Paracord Bundle - Tan Camo $ 9.99	• 52% off! ASR Outdoor Adventure Wilderness Socks One Size Fits Most Southwest Pattern Blue $ 9.99	• 50% off! ASR Outdoor Adventure Wilderness Socks One Size Fits Most Southwest Style Green $ 9.99	• 50% off! ASR Outdoor Adventure Wilderness Socks One Size Fits Most Southwest Style Beige $ 9.99	• 50% off! 6mm 2.5" Small Carabiner Key Chain - Green $ 5.99	• 45% off! 8mm Large 3.25" Carabiner Clip Key Chain - Pink $ 5.99	• 45% off! 550lbs Strength Survival Paracord Rope Camping Hiking Orange - 100ft $ 13.99	• 44% off! 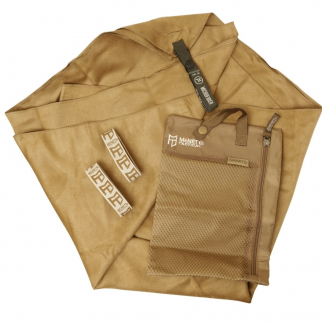 PT Pod Physical Fitness Work Out Towel Antimicrobial Outdoor Rec - Khaki $ 17.99	• 33% off! 7mm 2.75" Medium Carabiner Key Chain - Pink $ 5.99	• 45% off! 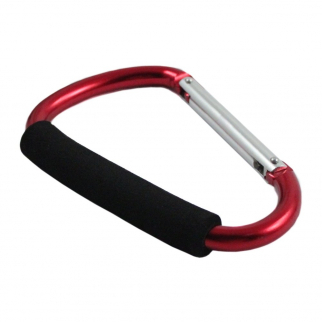 8mm Large 3.25" Carabiner Clip Key Chain - Black $ 5.99	• 45% off! 2 Inch Extra Small Carabiner Key Chain - Light Blue $ 5.99	• 45% off! 6pc ASR Outdoor Heavy Duty Orange Tent Pegs 8 Inch Tent Stakes Plastic Stopper $ 8.99	• 40% off! ASR Outdoor Survival Blanket Mylar Extreme Emergency Accessory Orange $ 7.99	• 50% off! Water Resistant Match Stick Storage Container And Fire Starter Mirror $ 6.99	• 46% off! Gear Aid Microfiber Travel Towel Ultra Absorbent Compact XL (Green) $ 24.99	• 31% off! Gear Aid Microfiber Travel Towel Ultra Absorbent Compact XL (Moss Green) $ 23.86	• 34% off! ASR Outdoor 5 Gallon Solar Shower Set with Thermometer Hiking Camping Outdoors $ 13.99	• 46% off! ASR Outdoor 15 LED 9.5 in Hurricane Hanging Lantern Camping Light Green $ 10.99	• 56% off! ASR Outdoor 15 LED 9.5 in Hurricane Hanging Lantern Camping Light Yellow $ 11.99	• 52% off! ASR Outdoor Mesh Food Cover 16 x 16 Inch Collapsible Design for Picnics $ 6.99	• 59% off! 13.5in Collector's Hunting Knife with Wolf Scabbard and Etched Blade $ 13.99	• 30% off! 13.5" Wild Deer Collector Etched Blade Hunting Knife with Scabbard $ 14.99	• 25% off! ASR Outdoor TitanLace 550 Paracord Hiking Boot Lace $ 9.99	• 57% off! ASR Outdoor Multi Function Outdoor Travel Camping Utensil Set Knife Fork Spoon $ 6.99	• 36% off! ASR Outdoor TitanLace 550 Paracord Hiking Boot Lace $ 10.99	• 52% off! ASR Outdoor Water Resistant Collapsible Day Pack - Red $ 13.99	• 53% off! 6 Pack Aluminum Multi-Color Carabiner Spring Clip Keychain (Pink Large) $ 7.99	• 60% off! ASR Outdoor Water Resistant Collapsible Day Pack - Green $ 8.99	• 70% off! Universal Tool Heavy Duty Camp Axe Hatchet with Sheath Buckshot - Survival Prep $ 23.99	• 52% off! 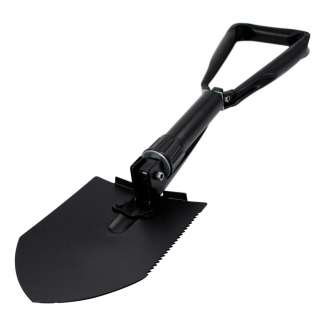 Emergency Survival Collapsible Outdoor Tri Fold Rescue 24 Inch Shovel $ 28.99	• 3% off! ASR Outdoor Lightweight Camping Air Mattress With Hand Pump $ 21.99	• 45% off! 6 Pack Aluminum Multi-Color Carabiner Spring Clip Keychain (Blue Large) $ 7.99	• 60% off! 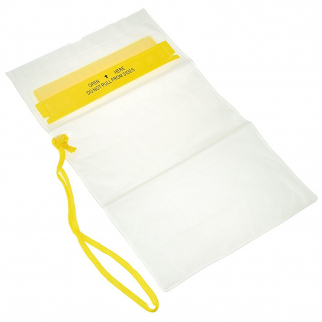 ASR Outdoor PVC Waterproof Dry Pouch 10.5 x 12 Inch $ 6.99	• 46% off! 13.5" Mythical Dragon Collector Etched Blade Hunting Knife with Scabbard $ 13.99	• 30% off! Buckshot Knives Camping Axe Hatchet - Black Steel With Cord Cutter $ 14.99	• 63% off! ASR Outdoor Clear Emergency Poncho - 5 Pack $ 9.99	• 33% off! PVC Waterproof Electronic Dry Pouch 5 x 7.25 Inch $ 5.99	• 45% off! ASR Outdoor TitanLace 550 Paracord Hiking Boot Lace $ 5.99	• 75% off! ASR Outdoor Adventure Wilderness Socks One Size Fits Most Southwest Style Brown $ 9.99	• 50% off! ASR Outdoor Sling Shot 5 Inch High Velocity With Grip Handle Steel Round $ 6.99	• 53% off!